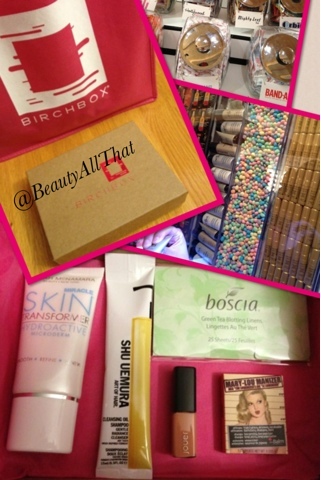 During NYFW, Birchbox created a haven for press to hangout in between shows. They also invited subscribers to visit one evening (one of the perks of being a member!) and partake in the lovely event. Overheard another attendee describing it as "beauty heaven," I couldn't agree more! 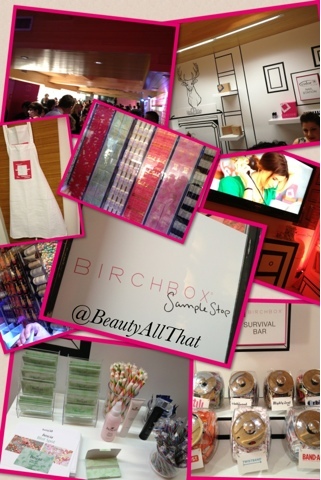 Once you walked in there was a photobooth, drinks, candy, stylists, manicurists- even a stage for their performer of the night- and the best part- a Birchbox Station to make your own Birchbox! It was an incredible evening with samplings galore. These fun events really drive customer loyalty to their subscription service which is why, if you're not a member already- you have to join! (subscribe here.) The thrill of getting this box of goodies each month can be yours for $10/month. At this price for 2 years ( Happy Anniversary! ), I'm glad inflation hasn't taken over.